TheAwards names the best apps in Spain for 2018 across several categories at the ceremony held in Barcelona on November 15. 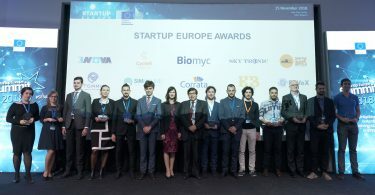 The first prize for Best App in Spain is valued at 66,500 euros, and has the support of the most internationally recognized technology companies, including Amazon Web Services Activate, Huawei, Snapchat, PickASO, TheTool, Mobile World Capital and Apple Search Ads, among others. Here are the best apps in Spain in 2018, as awarded by TheAwards. 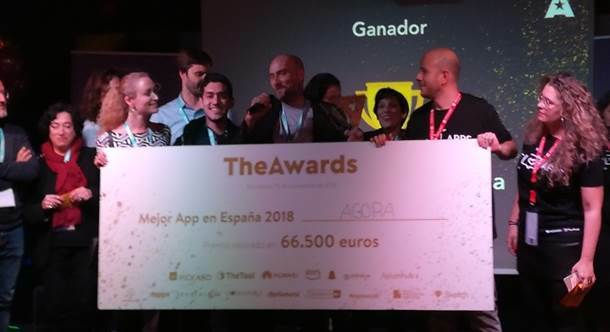 AGORA images received the Best App in Spain award for 2018. With more than 2 million users spread over 193 countries, AGORA images has broken into the field of photography allowing anyone, with a smartphone or digital camera, to participate in photo contests and give visibility to their images, as well as giving access to users and companies around the world to the photographic work of millions of people. AGORA images is the app of photography contests with the highest prizes on the planet. It has already distributed more than $50,000 in prizes. Any user can participate with their photos and vote to decide which will be the best images. The company was founded to meet a clear patient demand: finding the leading specialist to go to when confronted with a health issue. Over 1,000,000 users a month around the world visit the Top Doctors website and more than 10,000,000 patients have trusted Top Doctors to choose their medical specialist in Spain, Italy, the United Kingdom, Mexico, Colombia, and the United States. Parchís Online Gratis is a free social game available on iOS and Android, based on the classic board game, in which players play each other (online) using virtual coins. Virtual currencies can be obtained by playing, on social networks, connecting each day or buying them. Through the games, special configurations and exclusive elements of the game, players compete with each other to win the games, tournaments, levels, and thus get more virtual coins and points. iLove PDF App offers all the necessary tools to work with PDF files. It is a free and easy-to-use toolkit that allows you to join, split, compress or convert PDFs in very few steps. Millions of users save time by editing their PDF files with ilovepdf.com. Now iLovePDF offers access to the same functionalities in a new app for tablets and mobile phones. EVO Banco Móvil is the main app for EVO Banco customers to perform all their banking operations. Being a digital bank with presence throughout Spain and having a reduced network of five offices, the app is key so that users can perform all their banking operations from any location in 24 × 7. The app has an inclusive nature. That is, all the possible functionalities that the client can perform are included in this app without the need to resort to other types of satellite apps. ABA English is the App that brings to mobile devices all the educational advantages of the natural method used by the online academy to teach English. Thanks to the viewing of exclusive short films and practical exercises associated with the dialogues of the films, the students learn English effectively and really enjoy the process, making progress and learning real English. The App is designed to enjoy learning English without a sense of effort. This is achieved through the unique methodology developed by this Spanish academy: first listen and understand, and then learn to speak and write. Wegow is the social marketplace of live music, which connects users, artists, promoters and brands to immerse them in the world of concerts and festivals in a totally innovative way. The users do not miss any concert of their favorite bands, they have a personalized musical agenda, they can socialize with other users and have access to tickets. Artists, on the other hand, can multiply their audience and sell more tickets. Promoters, managers and bookers can plan concerts more effectively and expand their commercial reach. And brands have a unique opportunity to engage and impact users in an immersive environment where their content adds value to their experience. eCooltra is the leading motosharing app in Europe. Present in five cities in three countries, it has more than 3,500 electric motorcycles connected, allowing its 500,000 users to move freely around the city. The energy we use for its bikes comes from renewable sources. Born in 2016 in Barcelona, its bikes soon arrived in Madrid, Rome and Lisbon. Recently they have done it to Milan. Peoople is the app to discover the best recommendations thanks to your friends and favorite Influencers. Among the features of the app include maps with recommendations, collections of recommendations, and the ease of adding content. Peoople has influencers from different sectors that catalog their products on the platform through thematic collections that help the user to find what they are looking for. Citibox app and smart mailboxes make it possible to receive all online purchases the first time. No need to waste time waiting for the messenger and with the peace of mind that your package is safe in one of the mailboxes located in your apartment building or in your office. 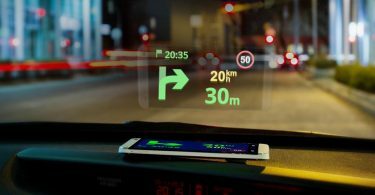 The app highlights its comfort and security when receiving all online purchases at the first and without being present at the time of delivery. Citibox bases its smart mailbox technology on geolocation and already has more than 3,000 models installed in Madrid, and its largest market is currently with Barcelona. Just Eat app puts food lovers in touch with the restaurants that offer their gastronomic offer at home. The company has a network of more than 8,000 restaurants in Spain, among which are some of the most important chains in the catering sector (Grupo Vips, KFC, Compañía del Trópico, among others) that offer a variety of more than 60 different types of food. It is precisely this gastronomic variety that differentiates the Just Eat application from other food delivery platforms and what users value most.